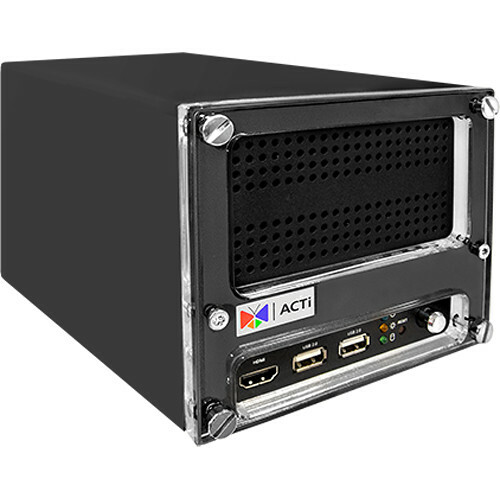 Stream and record up to 16 channels of video with the 16-Channel 12MP Standalone Desktop NVR from ACTi at resolutions up to 12MP. Equipped with two SATA ports, each supporting an HDD up to 10TB, the NVR can support up to 20TB of internal storage (HDDs available separately). External storage options include PCs via internet connection, network servers, and USB storage devices. Network bandwidth is optimized while ensuring high-quality recording and playback using H.265, H.264, MJPEG-4, and MJPEG compression.